Chef Christopher and Chef DK have previously planted seeds together, and for the seven-course dinners, they will craft the resulting produce, together with other ingredients from organic and sustainable sources – including from Haoma’s own urban farm – into stunning dishes that crush old stereotypes of what healthy cuisine means. 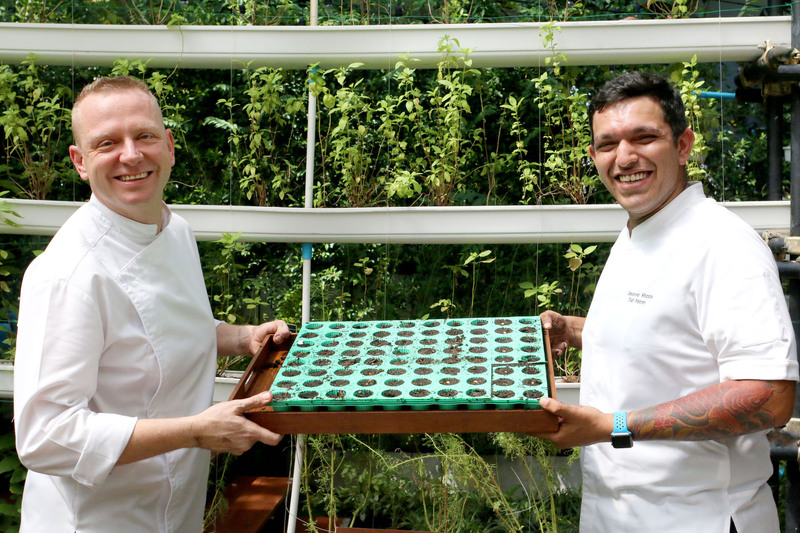 Chef DK is renowned for his sustainable approach to fine dining, having developed Bangkok`s first urban farm within a restaurant that grows fruits and vegetables in aquaponics, hydroponics and soil, all under the same roof. 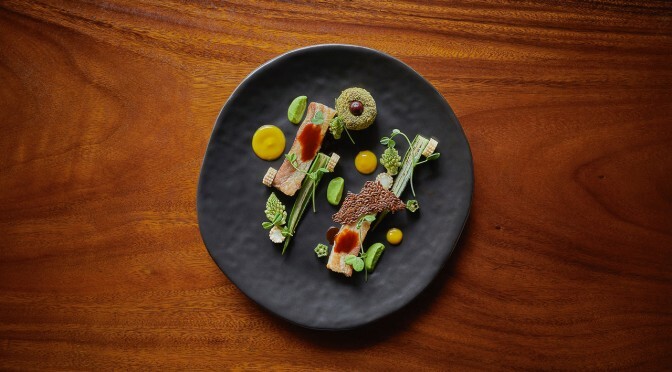 All of the core ingredients at Haoma are either grown in-house, or sourced from dedicated local farming communities and sustainable seafood suppliers. 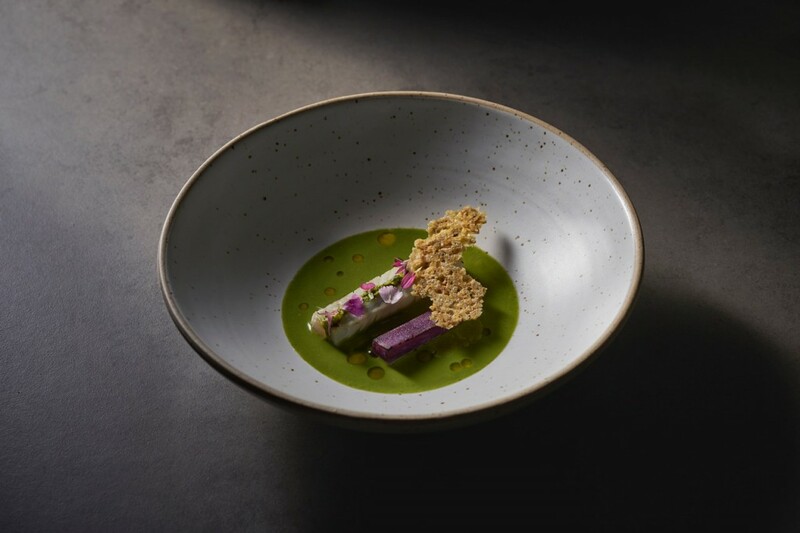 Similarly, the cooking style of The St. Regis Bangkok’s Chef Christopher nurtures a deep respect for the thoughtful sourcing of ingredients and a keen awareness of intelligent nutrition. 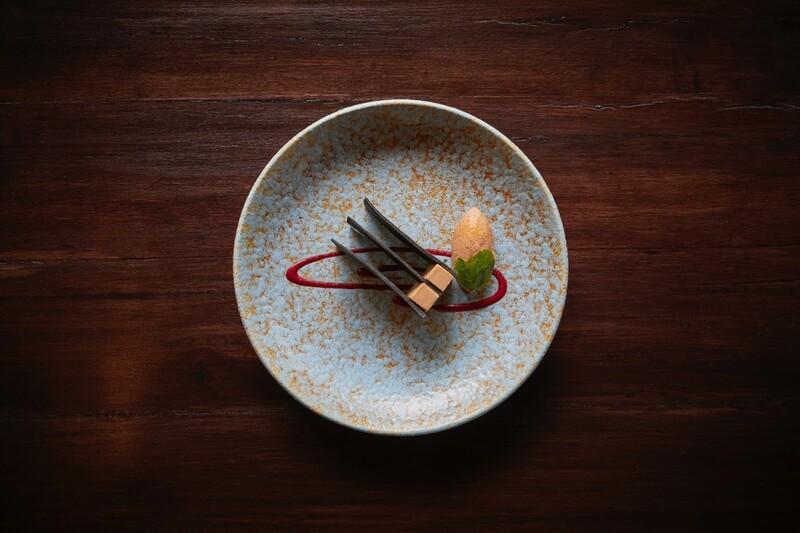 Among other accolades, he has won numerous awards for wellness cuisine in international publications. Named after a Zoroastrian plant, Haoma is described as a neighborhood restaurant, a sanctuary worthy of pilgrimage as well as “a complete micro-ecosystem.” The harvested rainwater is a great example. It is used to tend to all of the restaurant’s needs and is recycled for reuse through a catchment system. Cooking Neo Indian, which is a new form of Indian cuisine, based on largely reinvented pre-colonial cultures and comprising a diverse group of people attempting to re-create purified pre-colonial indigenous beliefs and ritual practices without the contaminating influences of modern society.